Time goes faster than we think. For many of us it won’t be long until we have younger family members – whether they’re children, nieces and nephews or even grandchildren – wanting to know what life was like for you at their age. So when it comes to preserving those important family memories, being able to turn old VHS tapes into DVDs can make a huge difference, allowing your family to access those occasions again without the need for outdated technology. Unlike a clunky VHS tape, the lifespan of a home video, wedding or family event on DVD is far more permanent. There are many more compatible options when it comes to transferring that history over to the next generation. Ensuring you’re up to date with the latest and easiest method of physically storing video content can ensure that, when VHS tapes become entirely obsolete, you’re still able to allow future generations to access that information and history. Converting home video footage onto a DVD not only makes it easier and more practical to store – preventing damage or accidental breakage – it also ensures that it’s easily accessible for future use, whether that’s a year from now or ten. The permanence of a DVD means it will still be usable and convertible to newer forms of media for the next generation, or the one after that. There are people who dedicate their hobbies or free time to finding out more about the history of their families, pouring over birth certificates, old letters, and photographs. 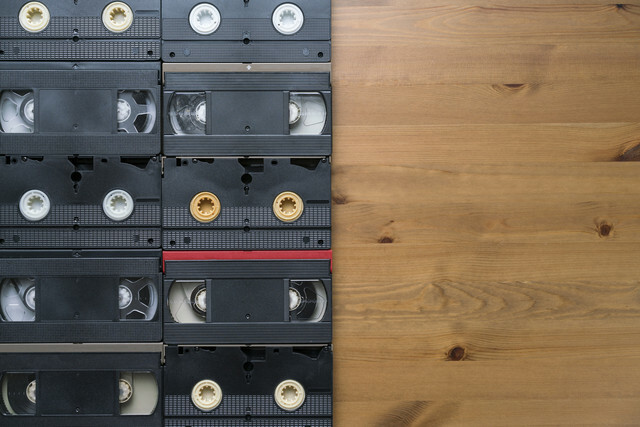 Video footage can provide a valuable piece of the puzzle for those looking to do the same in the future and being able to turn old VHS tapes into DVDs ensures that your video will stand the test of time. Not only does this allow for important events to be memorialised, it also provides a look into the fashion trends and behaviour of you and your family when the content was filmed. This could be just as alien to a child in a few decades as it is to us looking at Victorian photography and drawings. Preserving your video content for the future can provide invaluable insight to family members further down the line. How many of us have VHS tapes sitting at home containing important events that can no longer be accessed? From birthdays to weddings, day-to-day life to baby videos, rediscovering your own history can be just as insightful as understanding that of a long-gone relative. Being able to rewatch moments you haven’t been able to see for ten or more years can be a wonderful experience and converting your VHS tapes to DVDs is the perfect way to do this. There are countless ways we can get back in touch with our own history, and bring that nostalgia to others, but you need to have the right technology to do so. An un-watched VHS is one that is wasted, so why not convert it and gain many more hours of joy from your own personal history? If you’re looking to convert old videos to DVD format – whether you want to relive your own past, discover the past of older generations or just provide something unique and insightful to future generations – Video 2 DVD Transfers can help. Contact us today to find out more about our conversion services and how we can make your memories brand new again. This entry was posted in Blog, Family, Memories on August 23, 2018 by admin.